took both the Ravenspire throne and the life of her father. To do that, Lorelai needs to use the one weapon she and Queen Irina have in common—magic. She’ll have to be stronger, faster, and more powerful than Irina, the most dangerous sorceress Ravenspire has ever seen. I’m a sucker for retellings. I love seeing some of my favorite stories twisted and presented in a new way. That’s why I was initially drawn to The Shadow Queen. I wanted to see this new spin on Snow White, even though I’m not a big fan of the Snow White fairy tale itself. Overall, I did enjoy this twist on Snow White. Lorelai is definitely a likable heroine. She is smart and strong and is fighting hard for what she believes in. It’s very easy to root for her. Then we have Kol who is also easy to get behind. He gets wrapped up in terrible circumstances because he is desperate to save his home. He is a good guy and what he goes through is horrible. I loved the relationship between these two because they really made one another stronger. And I so loved that Kol never got all macho hero and that Lorelai was usually the one saving the day. The other thing I really enjoyed was the dragons. I was totally not expecting that and was so excited when I saw that was part of the story. Dragons make everything better and it definitely added something great to the world. The thing I struggled with most though is that The Shadow Queen doesn’t exactly feel like anything new. And I know it’s a retelling, but it still feels like a retelling I’ve read before if that makes sense. At times I felt like I was reading Snow’s story from season one of Once Upon A Time (minus the dragon thing) and I’m not gonna lie, Snow is my least favorite character on the show. As we built toward the end though it definitely became its own story and I did enjoy it. 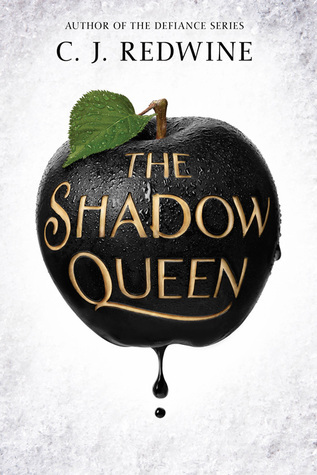 The Shadow Queen is a good twist on the Snow White story. I really enjoyed the dragons and the romance and it’s a pretty quick read. If you’re a Snow White fan I definitely recommend. Ooh nice! I still need to read this one! I love fairy tale retellings too! Snow White was actually a pretty good fairy tale for me in its original format. Nice and creepy in parts of it! LOL! Cannot wait to read this one! Great review! Yeah this was a quick and fun read! I think my expectations were too high, but the dragons were cool! I still need to give this a try, but with retellings, I really need it to be different than what I've seen in the past. There was that one book that was an Aladdin retelling that I couldn't stand bc it was literally just like the movie.